India’s largest engineering and construction company, Larsen and Toubro Ltd has seen a value erosion of 57% in its market capitalization over the last six months. In comparison, the Sensex has declined by more than 40% in the same period. It is advisable to buy stocks of L&T to keep the portfolio in line with growth story of India, strictly for long term investing. Experts see no respite for the L&T stock and expect more pressure on the stock price despite cheap valuations due to slowdown in growth and concerns over its Satyam buy. The stock currently trades at Rs 581.1, off the 52-week low of Rs 572.5 touched on March 3, 2009. The market is worried over the slower growth in the company’s future financials due to challenging macro economic environment and expected slowdown in the order inflows. This is because the company derives around 50% of its order book from private sector, which are likely to delay or cancel contracts. Analysts have cut their expectations about the future estimated earnings. While foreign broking company, Macquarie Securities has revised its earnings estimate for the company in FY10 by 11%, domestic brokerage company, Anand Rathi, has cut down the estimate by 15.4%. L&T’s interest in Satyam has made investors lose interest in the stock. The company has tripled its stake in the troubled IT major to 12% in January 2009. Market sources say this may have gone above 15%. “As the financials for Satyam is not available, valuation cannot be decided and hence at what level the company is a good buyout cannot be ascertained,” says Somesh Agarwal, analyst, Macquarie Securities. He expects pressure on the company’s stock price to continue unless there is clarity on the Satyam issue. 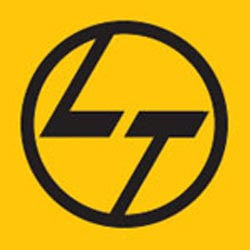 L&T is trading below its historical one year forward price to multiple band of 15-35 times and currently quotes at 11 times FY10 estimated earnings. Despite attractive valuations, market experts have a cautious view on the stock. Amitabh Chakraborty, president, equities, Religare Securities opines, “One can look to buying stocks of L&T at around Rs 500-levels.” However, the long term for the stock is good, says a fund manager from the top five mutual fund. “The company will eventually outperform the broader market in the long term as it is the only company in the country with superior engineering capabilities and size.” he adds. I am regular follower of your blog. further after Mr. Nair will move out?